Join our hosts, Shirley Sneve (Vision Maker Media) and John Gwinn, Binesi Means, and Tiana LaPointe (MIGIZI Communications) for a night of films focused on Native Americans’ experiences with and perspectives on law enforcement, racism, and healing. 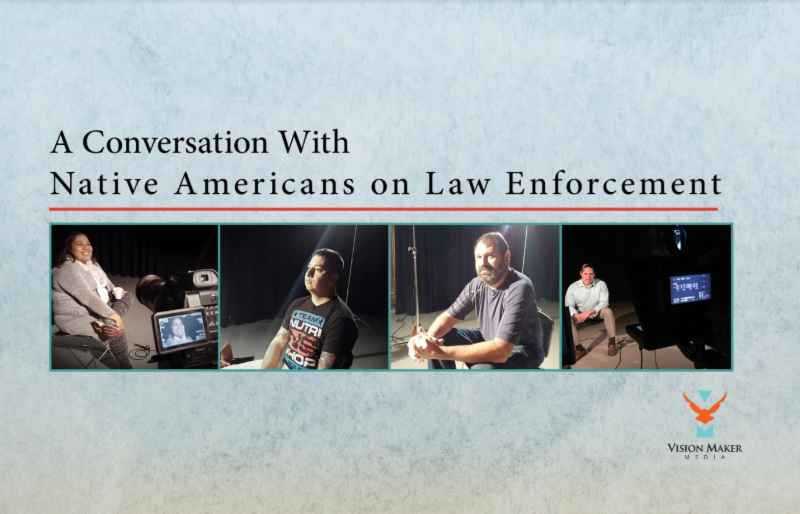 “A Conversation with Native Americans on Law Enforcement” is a short documentary film with a collage of interviews from Native sons, mothers, fathers, educators, and leaders expressing their thoughts on “the talk”—or lack thereof—in Indian Country from their own experience. The film provides insight from personal experience, giving an overall perspective and impressions from Native Americans interacting with law enforcement today. The interviews offer the Native American perspective and individual impressions from Native American interactions with law enforcement today. Chandra Walker (Omaha Nation) is a Community Health Educator at the Office of Health Disparities & Health Equity in Lincoln, Nebraska. Jared Long Soldier (Oglala Lakota) lived much of his childhood running into the law. More recently, he has discovered a faith led journey of sobriety that has helped him turn his interest to giving back to other men who are looking for a sober lifestyle. Larry Voegele (Standing Rock Sioux Tribe) is CEO for Health Services Division at Ponca Tribe of Nebraska. Joseph B. Rousseau (Cheyenne River Sioux) is an Administrator within Lincoln Public Schools for the Expelled Student Program and also serves on the Lincoln Public Schools Indian Parent Advisory Committee. In this short film, Leo Yankton (Oglala Sioux) tells how he changed his life around from having a troubled past and growing up on the Pine Ridge reservation to being an international speaker. Leo contributed in efforts to protect the water on the Standing Rock reservation, and continues to find ways to have a positive impact within Native Country and the rest of the world. 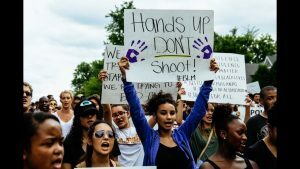 A look at the current state of police/community relations, especially as it relates to American Indians and other people of color, and how candidate for president Hillary Clinton plans to address these issues if elected. 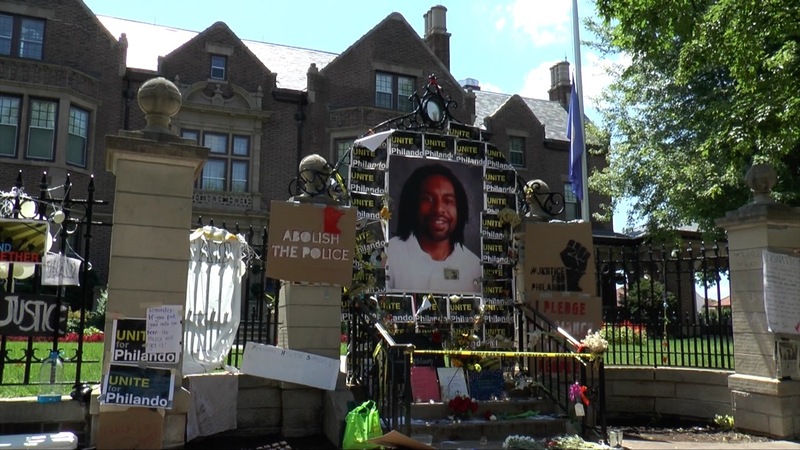 This video looks at several police killings of civilians during 2016, including Philando Castile in St. Paul and Loreal Tsingine in Winslow, AZ. The filmmakers ask people how these tragic incidences can be stopped through a change in legislation and policy. 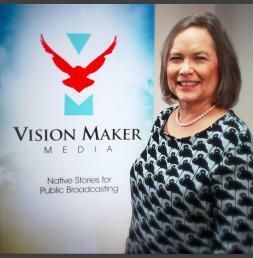 Shirley Sneve (Sincangu Lakota) is the Executive Director of Vision Maker Media, whose mission is to empower and engage Native People to tell stories. An enrolled member of the Rosebud Sioux Tribe in South Dakota, she has been in Nebraska for 10 years. She has served as director of Arts Extension Service in Amherst, Massachusetts, and the Washington Pavilion of Arts and Science’s Visual Arts Center in Sioux Falls, South Dakota. Shirley was assistant director for the South Dakota Arts Council, and she was a founder of Northern Plains Tribal Arts Show, the Oyate Trail cultural tourism byway, and the Alliance of Tribal Tourism Advocates. She started her career as a producer for South Dakota Public Broadcasting. She serves on the boards of The Association of American Cultures, the Friends of the Mary Riepma Ross Media Arts Center, the South East Nebraska Native American Coalition, and the Arts Extension Institute. She chairs the board of Native Americans in Philanthropy. Shirley is also a consultant with Creative Community Builders. John Gwinn is Project Coordinator/Media Specialist at MIGIZI Communications. Binesi Means and Tiana LaPointe are Native filmmakers that work with the First Person Production program at Migizi Communiciations. First Person Productions is a program of Migizi Communications that consists of multi media production (film, video, radio) and a New Media Pathway Program to train Native American youth to produce and distribute content via conventional and virtual media. First Person Productions (FPP) provides multi-media production training to approximately 50 Minneapolis Native youth each year. Thank you to our sponsors: Vision Maker Media, MIGIZI Communications, Augsburg University, American Indian Studies Department, American Indian Student Services, Augsburg Indigenous Student Association, and the Institute for Global Studies at the University of Minnesota.